By the resolution of the Government of the Republic of Kazakhstan, the company was set up and registered on June 29, 1992. State-owned holding company "Kazakhgas", state-owned concern "Kaznefteprodukt", state-owned enterprise "Karachaganakgasprom", manufacturing association "Munai Onimderi" and a Dutch company "Hillah Consultants Ltd." – were the founders of the future company. It was decided that the main objective of the enterprise is construction and operation of the Karachaganak low-tonnage plant for production of fuels, with refining capacity of 400 thousand tons of unstable gas condensate per year (further as MTU-400). Ukrainian institute "YuzhNIIgiprogaz" (Doneck, Ukraine) created the civil component of the complicated production project. Based on the tender, a Canadian company "Propak Systems Ltd." received an order to produce the main manufacturing equipment. Bashkirian research institute on oil and chemical processing performed the consultations on specifics of technology of Karachaganak feedstock processing. Alliance of Czech companies "Agrotex", "Vitkovicke Stavby", later joined by "Sidos" was appointed the general contractor on construction and assembly works. 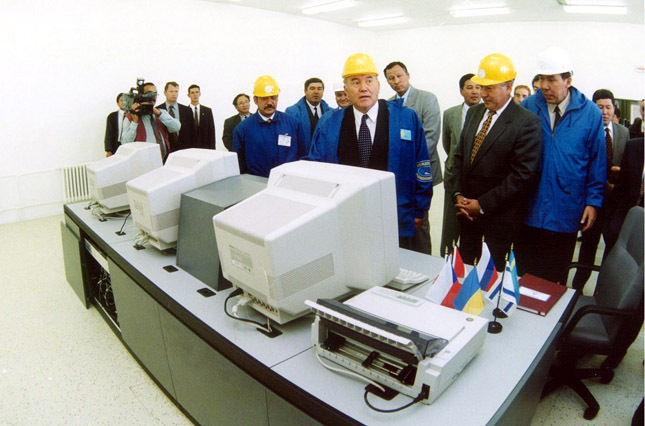 Already on August 5, 1993 the construction of the condensate processing plant began. The pace of the equipment production and construction works was very high. However, in February of 1994, due to the shortage of financing, Joint Venture "Condensate" was forced to stop the activity of the contractors on the construction site. For the same reason, "Propak Systems" froze the production and assembly of the manufacturing equipment. This marked the beginning of one of the most difficult periods in the life of the company. Financing abilities of the founders did not allow fulfilling the project to the full capacity. As a result, in October 1993, the management of the company issued shares and JV "Condensate" became a public company. In 1994, SC "Condensate" started to look for additional financing using all types of financial instruments. One of the major steps was two additional share issues in October, 1995. Consequently, many residents of the republic, along with founders and staff of SC "Condensate", became shareholders of the company. These activities allowed not only to raise funds, but also to work directly with foreign banks. In 1995-1996, banks of Canada, Czech Republic and Israel established lines of credit to finance the supply of goods and services from those countries that were needed to continue the plant's construction. The credit term was the presentation of the credit repayment guarantee by the Government of the Republic of Kazakhstan. 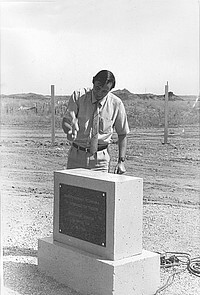 The works on the project resumed only in August 1996. The challenging step of transferring the main part of equipment from Canada was successfully completed by April 1997. Now, the lengthy process laid ahead - assembly of manufacturing equipment and hundreds of kilometers of pipelines and cable lines; as well as the set up of machinery and electronic systems. 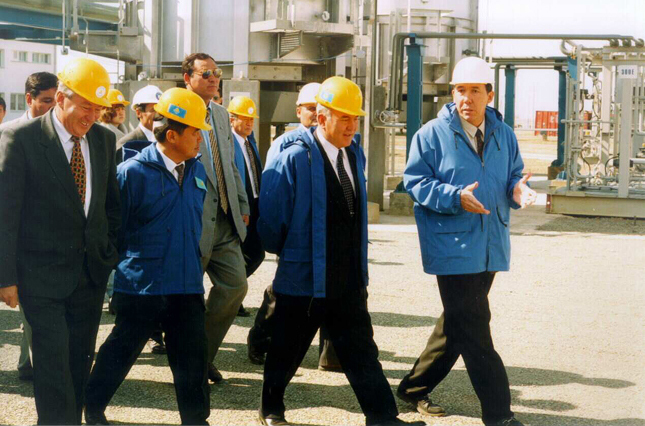 September 8, 1997 was a very memorable day for our company because the president of the Republic of Kazakhstan N.A.Nazarbaev paid a visit to the construction of small tonnage plant. By pressing the fire button to feed voltage to the manufacturing equipment, N.A.Nazarbaev symbolized the beginning of the precommissioning at the plant. He spoke very favorably of the quality of the construction and the initiative of local entrepreneurship. On the same day, he also laid a memorable capsule and a first stone into the foundation of the gas turbine power plant. Electric power station's project was aimed at utilization of sour gas. The orders given by the President after his visit to the small tonnage plant SC "Condensate" increased the attention of the government to the problems of the plant. 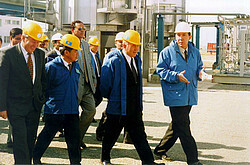 Under-construction and functioning plant was visited by a number of members of the Government of the Republic of Kazakhstan. On August 19, 1998, mini-refinery SC "Condensate" was launched into pilot operation. MTU-400 included: stabilization unit and straight-run refinery with refining capacity of 400,000 metric tons a year of unstable condensate; intermediate tank farm with capacity of 4,000 cubic meters; processing steam and water heating boiler; analytical chemistry laboratory; and fuel-oil loading unit. Two-pipe oil-products pipeline Karachaganak-Aksay with a diameter 159 mm and length 32 kilometers connects MTU-400 with an oil-loading terminal with a reservoir capacity of 12,000 cubic meters. This terminal has a rail car loading facility for light and heavy petroleum products. Aside from that, SC "Condensate" has a unit for procurement and storage of equipment and materials in Aksay. The supply of feedstock for the mini-refinery was guaranteed by the Government of the Republic of Kazakhstan and Agreement between SC "Condensate" and Alliance of foreign companies (KIO), a developer of Karachaganak oil-field.